Compact and user friendly, the Retimax is the newest device for the early detection of Glaucoma and its progression. 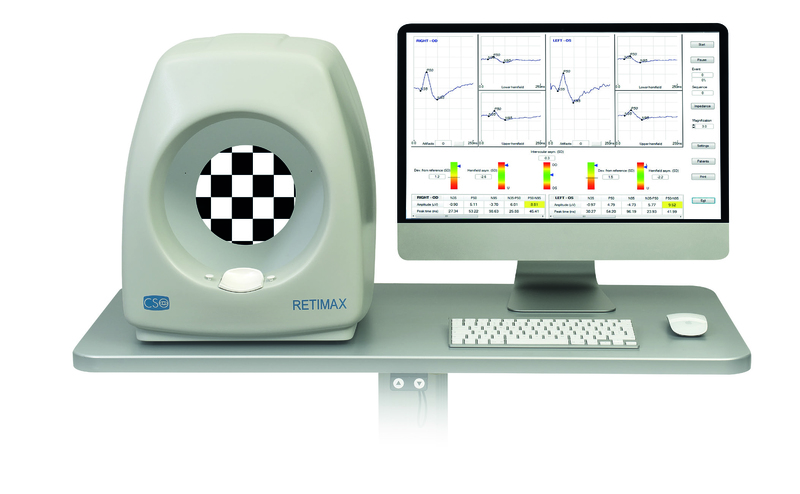 Retimax performs an objective test based on ocular electrophysiology, useful for the functional assessment of retina and ganglion cells. Retimax detects dysfunction in the retinal Ganglion cells before the irreversible process of cell death, providing a rationale for early treatment, to prevent or delay the death process. Retimax Basic configuration includes all in one Ganzfeld Flash with integrated 9” pattern stimulator (30°), electrodes set, personal computer, windows operating system or higher, USB port connection, ink jet printer, table.